More information on the module „Aktiv Wirtschaftswissenschaften gestalten und vermitteln” can be found here. April 23 rd from 16.45 – 18:15 pm in room LG 0.142. Please make sure to register via Studon by April 17th (23:59 pm) at the latest. If you do not register by then, you will not be able to view your exam. It is not possible to review the exam at another date. The program for the T2M conference (coorganized by the Chair of Macroeconomics) is now online. More information can be found here. April 30th at 13.15 pm in room 3.152. Please make sure to register via nadja.ipfelkofer@fau.de by April 26th at the latest. In the next session, February 15th (Friday) 13.15 Francesco Carbonero (University of Turin, Italy) is going to present his research on „Robots Worldwide: The Impact of Automation on Employment and Trade“. Here you can find the program. Please note the differing day and time for this week’s session. The Institute for Employment Research (IAB) is organizing a workshop, which will be held at the IAB on October 1st – October 2nd, 2019. The submission deadline is on March 31, 2019. More information can be found here. New Working Paper: Hochmuth, B., Kohlbrecher, B., Merkl, C. and Gartner, H.: Hartz IV and the Decline of German Unemployment: A Macroeconomic Evaluation. The Sveriges Riksbank and the Kiel Institute for the World Economy are organizing a converence, which will be held at Sveriges Riksbank on May 17th – May 18th, 2019. The submission deadline is on February 15, 2019. More information can be found here. The Chair of Macroeconomics organizes a seminar “European Topics in Economics”, which will be held at the Visitor Center of the European Commission in Brussels on 24 May 2019. Students will get the opportunity to research on a broad range of macroeconomic issues that are currently discussed at the EU Level. Please note that the application deadline is February 1st 2019. In the next session, January 29th 12.00 Michael Stops (IAB, Nuremberg) is going to present his research on „Formal search and referrals from a firm’s perspective“. Here you can find the preliminary program. Master’s programs FACT and MSE students have the opportunity to spend several months at the OECD in Paris. For those who are interested, please send your application to Prof. Gatzert and Prof. Merkl via E-Mail until January 23, 2019. Find more information here. In the next session, January 15th 12.00 Jose Luis Luna Alpizar (CERGE-EI, Prague) is going to present his research on „Worker Heterogeneity and the Asymmetric Effects of Minimum Wages“. The IAB and the University of Erlangen-Nuremberg invite applications for six doctoral scholarships beginning October 1st, 2019. 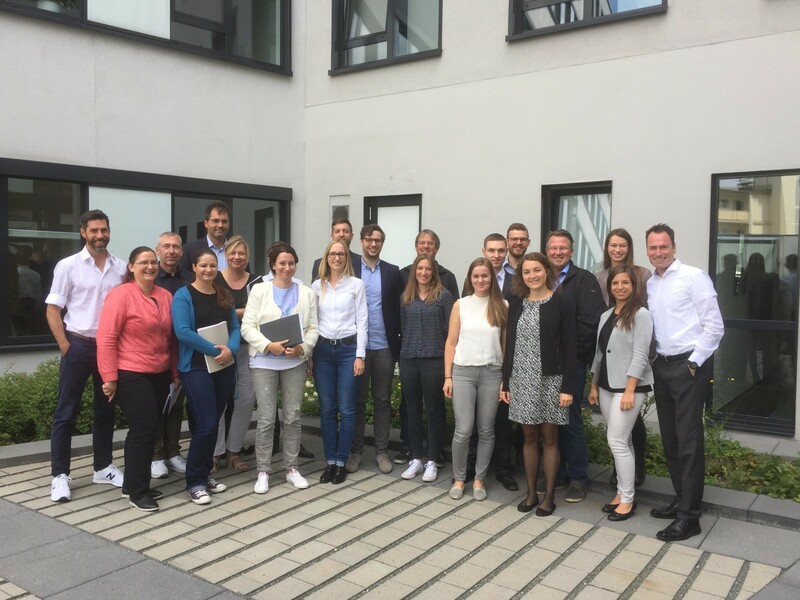 The Graduate Center GradAB offers a three-year programme of high-level training in labour market research, which can be extended for another year under certain conditions. Additionally, applicants are granted access to the excellent data of the IAB on employment and social security. The scholarship offers financial support of 1,350 € / month. The application deadline is 15 March 2019. For further information on the application procedure, see the attached call and http://www.iab.de/en/ueberblick/graduiertenprogramm/bewerbung.aspx . In the next session, December 18th 12.00 Jens Wrona (DICE, Düsseldorf) is going to present his research on „Exporting and Offshoring with Monopsonistic Competition“. The series of seminars topics dealing with Macroeconomics and the Labor Market takes place every second Tuesday at FAU, Lange Gasse 20 in Nuremberg, or the IAB, Regensburger Straße 100 in Nuremberg. In the next session, November 7th (Wednesday) 13.15, Axel Gottfries (University of Edinburgh, UK) is going to present his research on „Bargaining with Renegotiation in Models with on-the-job search“. The Institute for Employment Research (IAB) and the Friedrich Alexander University (FAU) are organizing a converence, which will be held at the IAB on March 22-23, 2019. The submission deadline is on November 4, 2018. More information can be found here. October 22th at 3 pm in room 0.144. Please make sure to sign in via studon by the 17th of October (11.59 pm) at the latest (link to studon). If you do not sign in by then, you will not be able to view your exam. The Institute for Factory Automation and Production Systems offers a position as a research assistant in the field of interdisciplinary research at the interface technology and economics as well as for the administration of research projects. If you are interested, find more information here. In the next session, July 17th 12.00, Vincent Sterk (University College London, UK) is going to present his research on „The Nature of Firm Growth“. Find the announcement here. The Regional Research Network group of the IAB is seeking to fill a student assistant position. If you are interested, send your application to iab.sms-befragung@iab.de. More information can be found here. 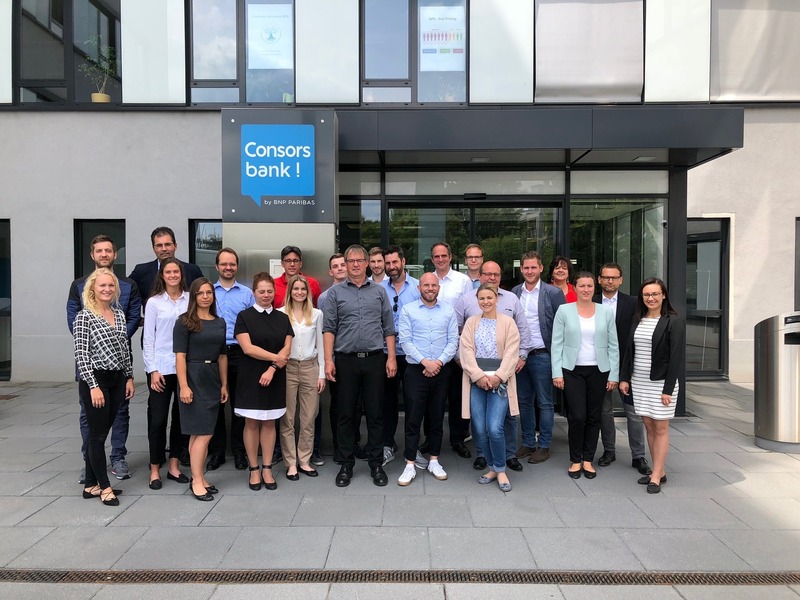 The Consorsbank and the Chair of Macroeconomics have successfully completed the second practical seminar with interesting results and great discussions! Kai Friedrich, CEO Consorsbank and DAB BNP Paribas, posted his positive impressions on LinkedIn, here. Thanks again for this great opportunity! Master’s programs FACT and MSE students have the opportunity to spend several months at the EBRD in London, UK. For those who are interested, please send your application to Prof. Gatzert, Prof. Scholz and Prof. Merkl via E-Mail until June 30, 2018. Find more information here. In the Economist Reception (former) students of the Economics Program of the University Erlangen-Nuremberg are invited once every semester. These guests will present in which occupations they work today and how they got there. This semester’s Economists Reception takes place on June 26th (Tuesday), 2018 from 18.30 to 20.00. The guests invited are Katrin Ziegler from Zalando and Martin Popp from the IAB. In the next session, June 5th 12.00, Satoshi Tanaka (University of Queensland, AUS) is going to present his research on „Multidimensional Skill Mismatch“. Find the announcement here. For those who are interested in the course „Monetary Policy and Learning“, please note that you have to register for the exam. Important: registration for the exam ends before the course starts. In the next session, May 29th 11.00, Fabien Tripier (Uni Paris-Saclay) is going to present his research on „Uncertainty Shocks and Firm Creation: Search and Monitoring in the Credit Market“. Find the announcement here. The course description including the organizational framework for the course „Monetary Policy and Learning“ can be found here. The Institute for Advanced Studies in Vienna (IHS) and the Kiel Institute for the World Economy, as part of the Ensuring Economic and Employment Stability (EES) network, are organizing a conference, which will be held at the IHS on November 16-17, 2018. The submission deadline is on June 17, 2018. More information can be found here. The new edition of the alexander, the magazine of the FAU Erlangen-Nuremberg, contains a report on the “Drehtür Arbeitsmarkt” in which Christian Merkl and Heiko Stüber present their research on worker churns and employment growth for German establishments. The abstract of the Alexander with the report (in German) can be found here. In the first session, March 21st (Wednesday) 14.00, Matthias Hertweck (Deutsche Bundesbank) is going to present his research on „The Effect of Recent Labour Market Oriented Immigration from EU Member States on Wage Dynamics in Germany“. The Chair of Macroeconomics and the Consorsbank offer a second joint practical seminar in the upcoming Summer Semester. MSE and FACT Master students can express their interest briefly until January 24th, 2018. Further information can be found here. This semester’s Economists Reception takes place on January 22nd (Monday), 2018. The guest invited is Christian Speth from the Consorsbank. The program, list of participants and pictures of the Labor Markets and Macroeconomics workshop can be found here. VoxEU posted a new article of Rüdiger Bachmann, Christian Bayer, Stefan Seth, Heiko Stüber, Felix Wellschmied and Christian Merkl on „Worker churn and employment growth at the establishment level: Evidence from Germany“ on its website. Click here to get to the whole article. The Oekonomenstimme posted a new comment of Almut Balleer, Britta Gehrke and Christian Merkl on the effects of working time accounts in the Great Recession in Germany on its website. Click here to get to the whole article which is written in German. The Consorsbank & the Chair of Macroeconomics have successfully completed the first joint applied quantitative seminar in the MSE program. We are thankful for this opportunity and look forward to further joint experiences. We are happy that Kai Friedrich, CEO Consorsbank and DAB BNP Paribas, shares our impressions. This semester’s Economists Reception takes place on July 6th (Thursday), 2017. The guests invited are Christoph Brug from the Helaba-Landesbank Hessen-Thüringen and Felix Schröter from the ifo Institute Munich.